Hajia Lami Tumaka, Director Special Duties representing Dr. Dakuku Peterside, Director General of Nigerian Maritime Administration and Safety Agency (NIMASA) presenting relief materials donated by NIMASA to the Deputy Governor of Niger State, Alhaji Mohammed Ahmed Ketso in Minna. 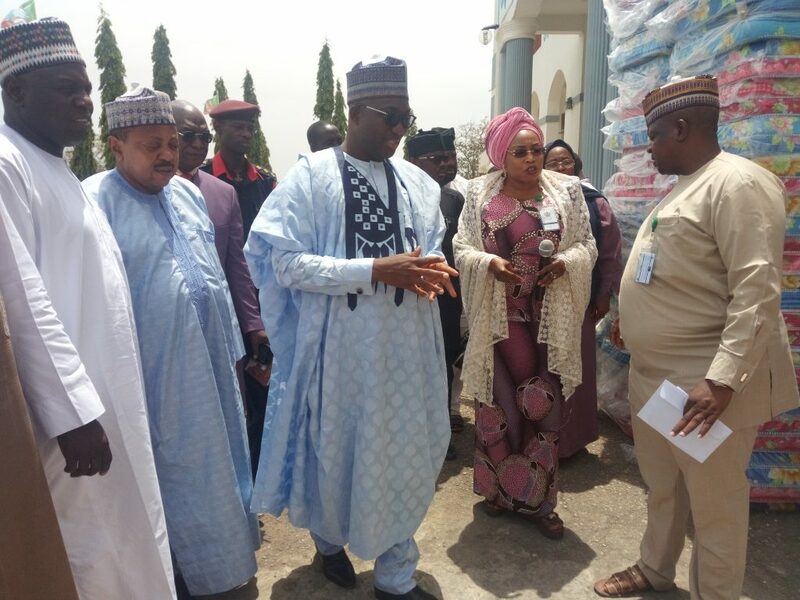 The Nigerian Maritime Administration and Safety Agency (NIMASA) in continuation of its nationwide relief donation to victims affected by flood in 20 states of the country has made presentation to the people so affected in Niger State. 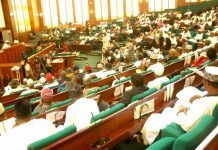 The Director General, Dr. Dakuku Peterside said this was the Agency’s humble effort towards alleviating the suffering of fellow Nigerians who were displaced by floods in the state last year. 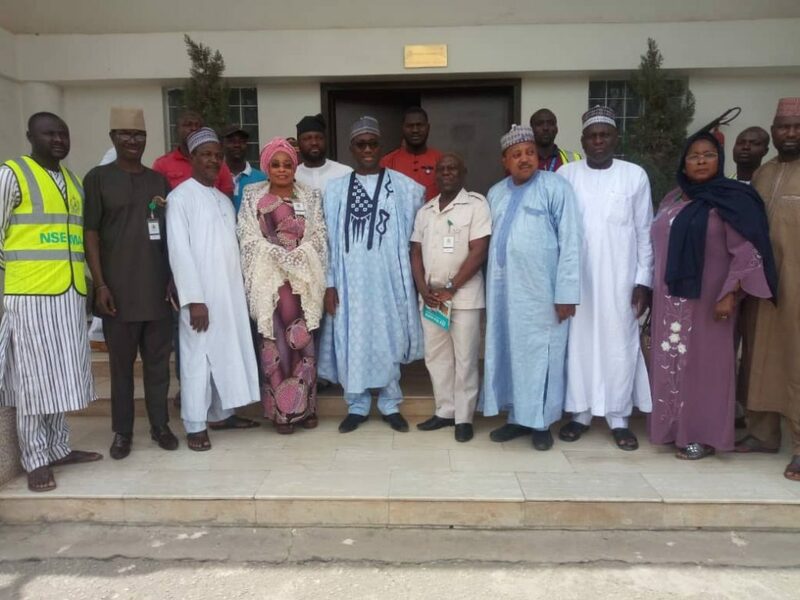 Deputy Governor of Niger State, Alhaji Mohammed Ahmed Ketso (5th from left) Representative of DG, NIMASA, Hajia Lami Tumaka (4th from left), Assistant Director, Public Relations, NIMASA, Mr. Kyanet, Philip (5th from right) and some members of the Niger State Executive Council during the presentation of relief materials by NIMASA to Internally Displaced Persons (IDPs) in Minna, Niger State. 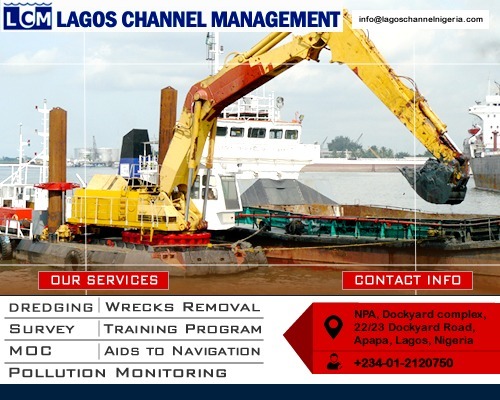 Represented by Hajia Lami Tumaka, Director Special Duties (External Relations and Technical Cooperation), the NIMASA DG commiserated with the families of those who lost loved ones and property and assured of the Agency’s preparedness to always extend support to Nigerians in distress. According to the DG: “We are here to extend our hand of fellowship to you and to let you know that NIMASA cares. The fact that you are here today, does not make you any less Nigerian, but for the circumstances that brought you here. As a socially responsible corporate entity, NIMASA remains committed to supporting all Nigerians in distress, no matter how little. 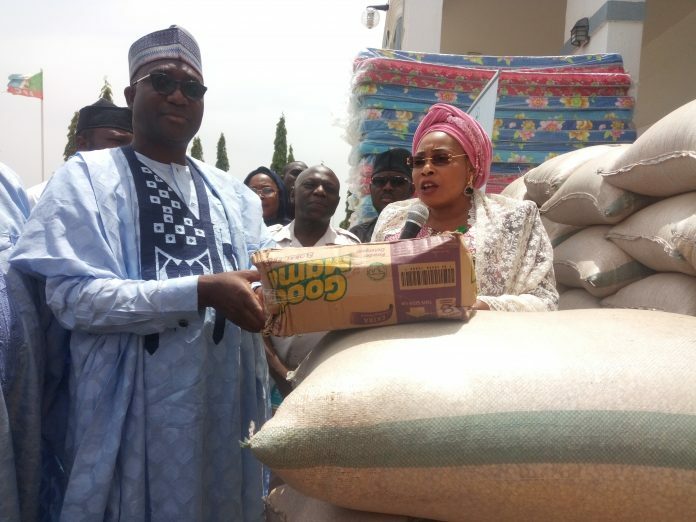 Hajia Lami Tumaka, Director Special Duties representing Dr. Dakuku Peterside, Director General of NIMASA conducting the Deputy Governor of Niger State, Alhaji Mohammed Ahmed Ketso round some of the relief materials donated by NIMASA in Minna. 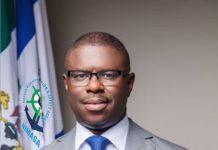 As part of its Corporate Social Responsibility, NIMASA has commenced the distribution of relief materials to victims of natural and man-made disasters in 20 states of the Federation covering the six Geo-Political zones. 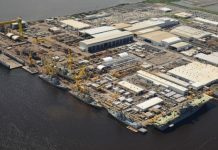 The exercise was flagged off in Lagos at the Lagos State Emergency Resettlement and Relief camp in Igando on Tuesday April 9, 2019.